Your adrenal glands may be small, but they have a big job when it comes to helping you maintain an optimal level of health--they help your body handle stress. When stress levels get too high, your adrenal glands may become overworked, which can sometimes leave you feeling tired and without energy. 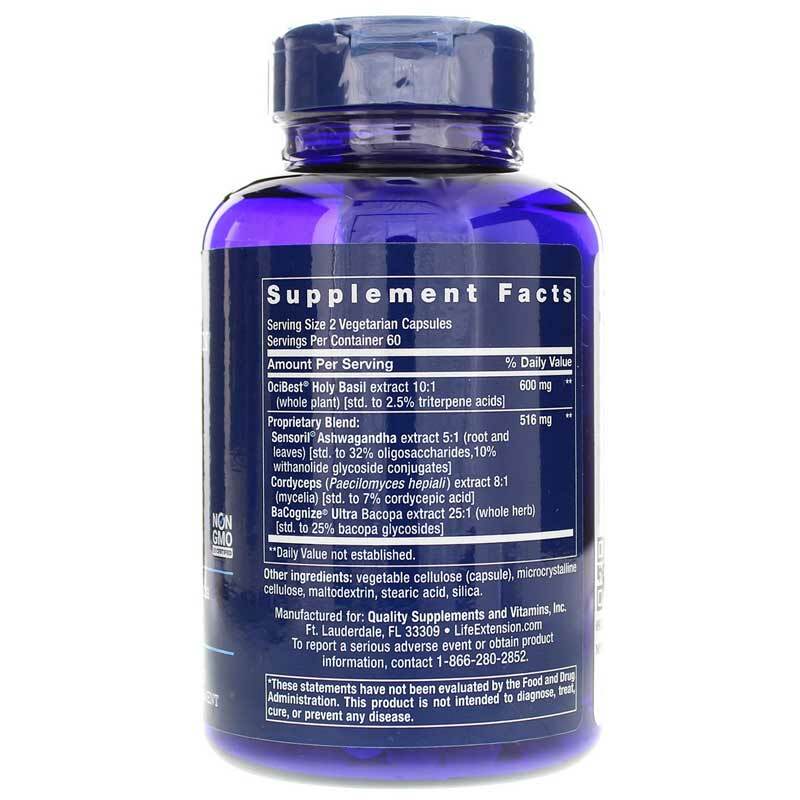 Life Extension offers a product called Adrenal Energy Formula, a dietary supplement designed to support healthy energy levels and to help relieve stress. 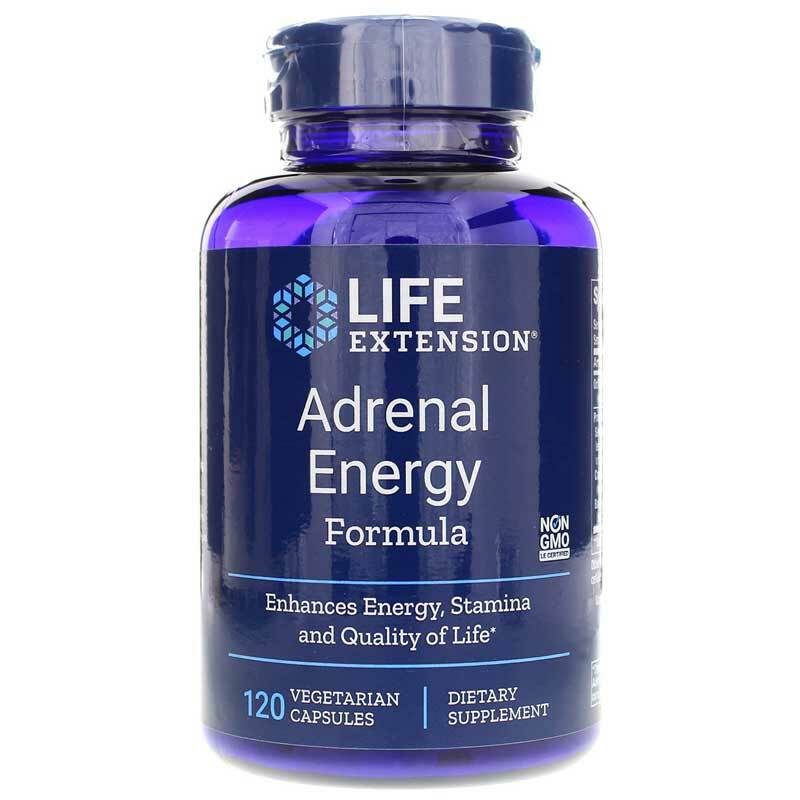 Adrenal Energy Formula from Life Extension comes in a vegetable capsule form that is easy for adults of all ages to swallow. It should be taken twice every day, and may be taken with or without a healthy meal. Don't let low energy levels keep you from living your life. Give Adrenal Energy Formula a try today, and see the difference it may be able to make for you. Order now! BACOGNIZE ULTRA is a registered trademark of Verdure Sciences, Inc.
OciBest is a registered trademark of Natural Remedies Private Limited. Sensoril is protected under US Patent Nos. 6,153,198 and 6,713,092 and is a registered trademark of Natreon, Inc. Adults: Take two capsules twice daily with or without food, or as recommended by a healthcare practitioner. As with any dietary supplement, consult your healthcare practitioner before using this product, especially if you are pregnant, nursing or undergoing treatment for a medical condition. Keep out of the reach of children. 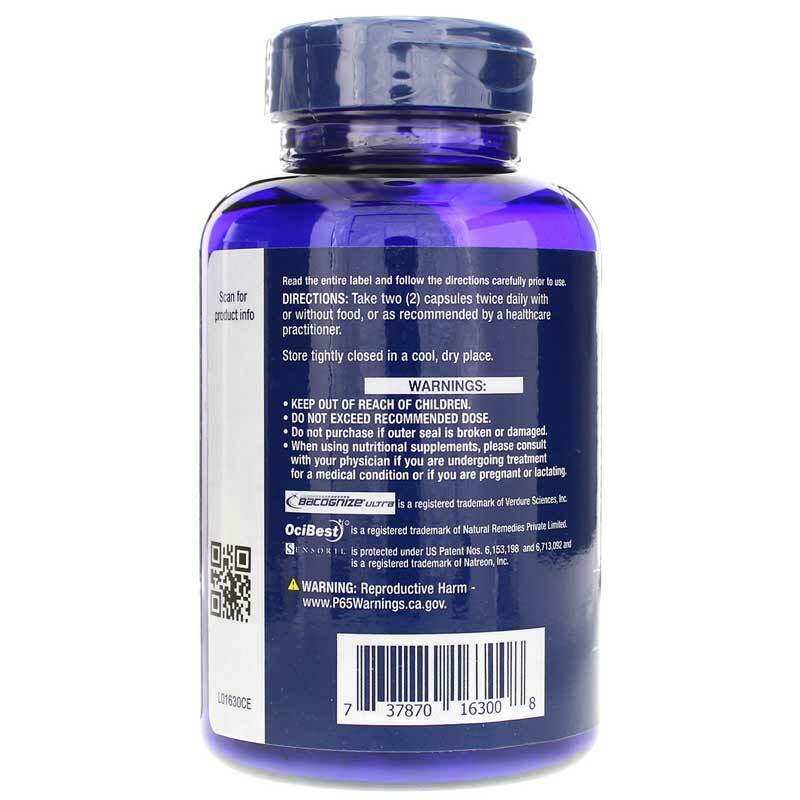 Although I consider Life Extension a quality brand, I was disappointed with this supplement because I did not get the results I had hoped for. Instead of revitalization, boosting energy and stamina, I got sleepy. I am hesitant to take any more of it because I already suffer from extreme fatigue.